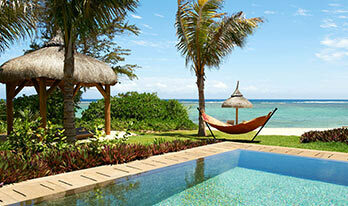 The Mauritius Resorts Guide offers an overview and a selection of the best resorts in Mauritius. 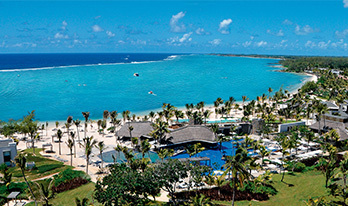 Resorts offer an unparalleled experience, with most resorts in Mauritius located either beachfront or near the beach. With spectacular ocean views, picturesque scenery and green landscapes, the island presents a number of resorts for all types of vacationers. There is no particular resort to recommend, since it all depends on your preferences- such as budget, travelling companions and the resort amenities & services, but you will certainly be spoilt for choice. You are sure to find a resort to suit your vacationing needs - whether you are travelling with kids and looking for a Family-friendly Resort or on holiday with a group of friends and would prefer an Adults-Only Resort. If you are seeking a romantic couple getaway with your partner, then look no further than a honeymoon resort or escape from the crowd with a Boutique Resort. 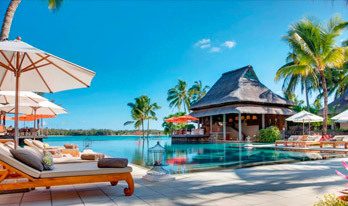 Some resorts in Mauritius even cater for specific lifestyles and recreational activities. Sharpen up your golf skills at internationally acclaimed golf resorts or embark on a wellness journey by staying at a spa resort. All-inclusive resorts are the best accommodation option if you’re looking for a hassle-free holiday. Budget travellers will be delighted to find that there are several affordable, budget resorts offering excellent resort facilities and services. 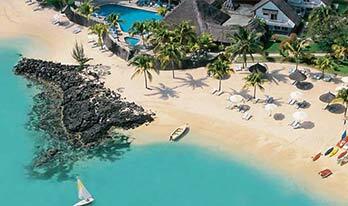 However if you’re looking for the ultimate Luxury Resort, Mauritius is famed for its 5 star resorts- some reputed as the world’s best resorts. 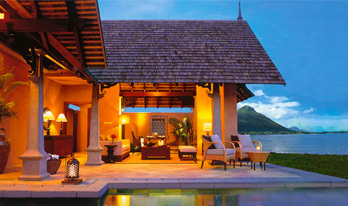 The Shanti Maurice offers the most elegant, extensive collection of private villas. 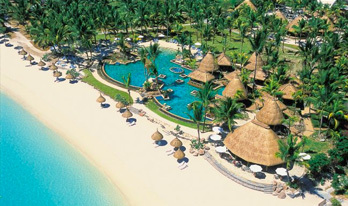 Ambre Resort & Spa is a 4-star all-inclusive, adult-only resort located on the East coast of Mauritius. 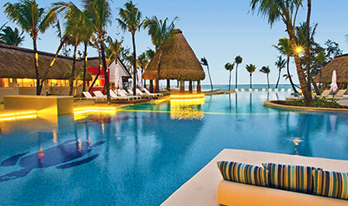 This all-inclusive hotel is an ideal location for luxury beach holidays, indulging romantic vacations and honeymoons. Ambre Resort is an invitation to immerse yourself in a highly-relaxing stay, on an exotic tropical island while enjoying VIP amenities and services, along with a wide range of accommodation in 297 rooms and entertaining activities. With its warm atmosphere, wonderful beach, exquisite restaurants, lively bars, high-end Aura Spa and the extensive recreational and sporting activities, this mythical La Pirogue Resort & Spa promises guests a memorable holiday. This 4 star hotel, a member of the Sun Resort family, provides you comfortable Mauritian cottages which nestled in the heart of the vast coconut plantation bordering the beach, ideal for a tropical holiday destination. 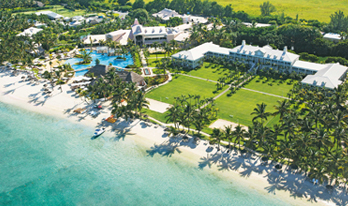 Member of the Sun Resort family, the 5 star Long Beach resort faces an extensive seafront along the famous Belle Mare beach on the natural eastern coast. 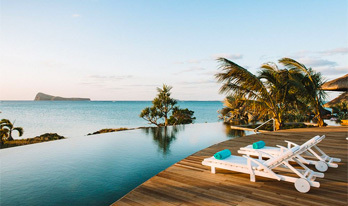 With its bold island chic and vibrant offer, the resort calls out to high-spirited families and couples with a passion for the now, seeking energetic times or relaxation. 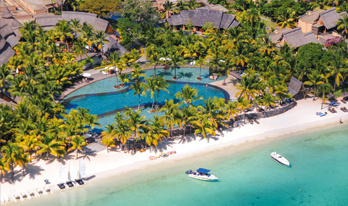 The Sugar Beach resort is a five-star hotel built on a white sandy beach on the west coast of Mauritius. Its contemporary plantation-style architecture reminds of a colonial mansion with exotic Creole charm. 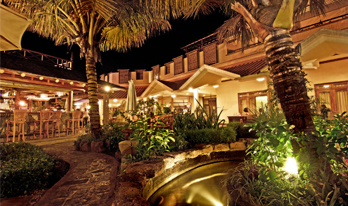 The hotel offers accommodation in rooms and villas scattered amidst beautiful tropical gardens. They are elegant, stylishly furnished and provide all the modern comfort. 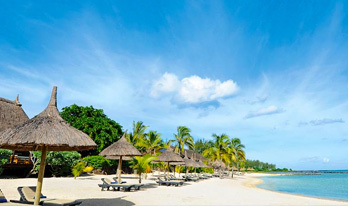 The legendary northern coastline of Mauritius cradling Merville Beach resort is just the spot. 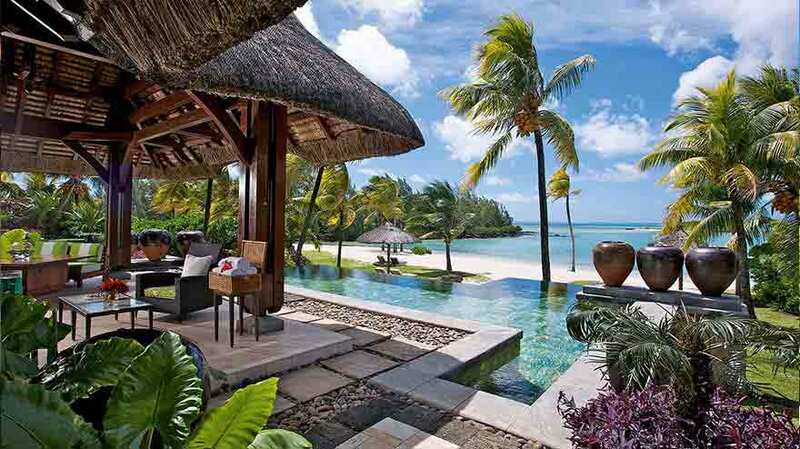 This lush three-star superior beach hotel in Mauritius is an oasis of calm. The 20 Degres Sud Hotel is situated at Pointe Malartic, in a lovely setting between Grand Bay and Pointe aux Canonniers. It faces the incredible nearby islets such as Coin de Mire, Ile Ronde and Ile Plate and altogether provides a feast for the eyes! It offers both the luxury and excellence of a five-star establishment within the dimensions of an attractive, privately run hotel. Nestled just some 60 metres away from the gorgeous Flic en Flac beach, Aanari Hotel & Spa offers you a perfect holiday destination for individual, couples, or families who are seeking for a relaxing, and soothing environment in the lush green tropical paradise. Inspired by the typical Creole concept, the hotel is adorned with iron sheets roofing, walnut brown teak wood, iron sheets roofing, rattan, and stone walkways; all blending harmoniously with coconut trees, tropical plants and the ocean. Baystone Boutique Hotel & Spa is equipped with rooms and bright suites which are modernly done and uniquely designed with tailor-made furniture. 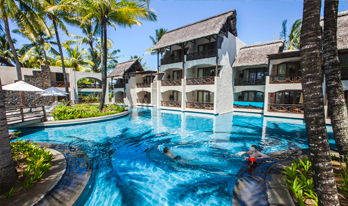 Set on the northern side of the island, along two stunning coves of sandy beach at Anse la Raie in a secluded area, the four star Sensimar Lagoon Mauritius offers a vacation in a tropical and laid back atmosphere. Feast your eyes with incredible views of the northern islets from the hotel, and the many shades of blue. 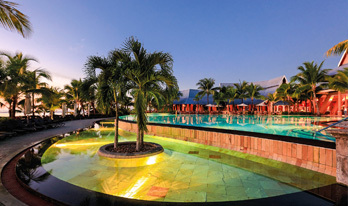 Member of WORLDHOTELS Comfort Collection, Casuarina is without doubt one of the best 3 stars hotels on the beautiful paradise island of Mauritius. Offering an ambiance of comfort in an enchanting setting of white-washed stone walls and thatched roofs circled by a lush tropical garden, Casuarina offers all the required comforts to make your stay delightful. Enjoy water sports, excursions, or just relax by the pool and in the spa. 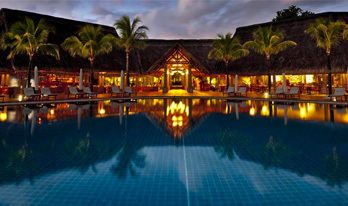 Constance Le Prince Maurice is set within 60 hectares of unspoilt tropical gardens sheltered from off-shore winds. 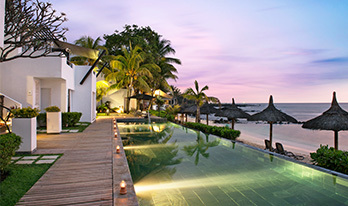 If you're looking for the perfect tropical hideaway, Constance Le Prince Maurice is the answer. The elegance of the stunning architectural design and the relaxed luxury of this hotel, inspired by the spice route and Prince Orange of Nassau, will seduce you from the moment you arrive. Set in a romantic atmosphere, encompassing blissful white sandy beaches, a vast area of lush green tropical garden, with stunning sunsets to leave you with beautiful memories- Trou aux Bich-es Resort & Spa promises you a perfect romantic holiday in Mauritius. 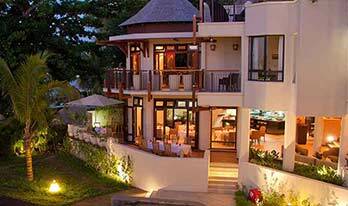 This eco-friendly resort nestles on one of the most beautiful beaches of the island. It is very popu-lar for its elegant accommodation featuring suites and villas with furnished balcony or terrace. The resort’s unique atmosphere is preserved while focusing on space, serenity and communion with nature. Explore the eastern side of the island with the charming Friday Attitude ideal for families, couples, friends or solo travellers. 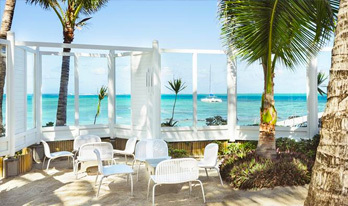 Fringed by a very wide beach of fine white sand, this 3* superior hotel offers a totally relaxing and tropical holiday destination in Trou d’Eau Douce. Enjoy the breathtaking views, where you can feast your eyes with the hues of blues and green of the ocean, and the tropical garden exuberant vibrant summery colours, all to set you in the mood for a tropical vacation. Conveniently located on the 2500-hectares of ‘Le Domaine de Bel Ombre’ between the enticing beach and lush green hills, Awali Heritage Golf & Spa Resort is the ideal place to seek refuge for an experience of pure relaxation in the midst of nature with the perfect combination of the bewitching African heritage. From the hills down to the turquoise lagoon and the white sandy beach, enjoy your stay on this little piece of tropical paradise! 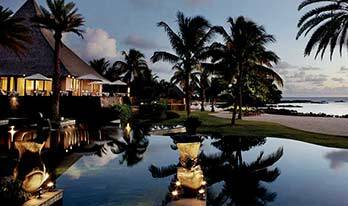 Splendidly ensconced along one of the most beautiful beaches on the island, Constance Belle Mare Plage Hotel is set in a 15 hectare of tropical lush garden. Inspired by the unique beauty of the East Coast; space and style have been combined to create comfort, to radiate brightness and to breathe the freshness of the Indian Ocean. 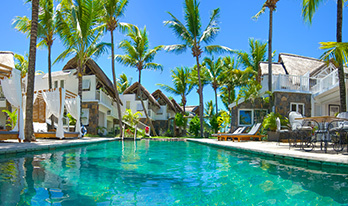 Facing the long sandy beach of Belle Mare and protected by the crystal clear lagoon this luxurious resort is beautifully balanced with tropical environment and Constance Chic. Preskîl Beach Resort, of typical Creole architecture, is truly a haven of peace set in a luxuriant tropical garden overlooking idyllic white sandy beaches. 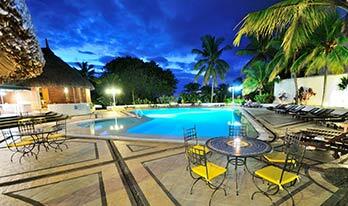 Le Cardinal Resort is the ideal place of retreat from a noisy messy monotony. Experience luxury in all tranquility, in all its intimacy. 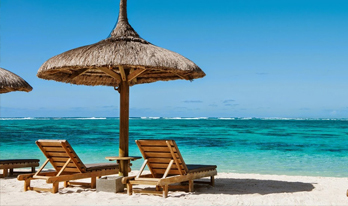 The service at the Cardinal Resort is top notch, offering all its guests to enjoy special individual attention from the staff, exhibiting the so famous Mauritius hospitality. The 4-star Le Victoria hotel is conveniently located on the protected North West coast of Mauritius, between Grand-Bay tourist hub and Port-Louis, the capital. It is mostly known as a family resort in Mauritius and is also renowned for its spacious sea-facing rooms, providing incredible sunsets. The very spacious and sophisticated sea-facing rooms are categorised into several options for clients of different taste. Settle yourself in one of the resort's spacious and gorgeous accommodation, which has elegantly been designed with colours, and an island touch. An exclusive haven of solitude and luxury, the Maradiva Villas Resort & Spa is spread over a lush 27 scenic acres. It lies along 750 metres of the gorgeous Flic en Flac beach, offering you for a perfect hideaway, discreetly indulgent in an oasis of nature and tranquillity. The Maradiva Villas offers sophisticated and intimate retreat in an incredible setting, surrounded by tropical gardens, and scenic nature views. 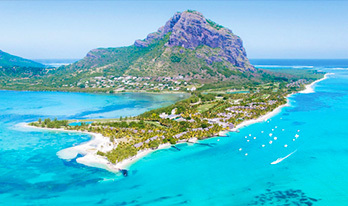 Get into the picturesque site of le Morne Peninsula, and have a fun, and relaxing vacation at the 5 Stars Beachcomber Paradis Hotel & Golf Club. The hotel is surrounded by an extremely beautiful beach, lush garden with palm trees, swimming pool, and a spectacular golf course on the other, with the UNESCO World Heritage Site of Morne Brabant Mountain in the backdrop. The hotel is surrounded by the turquoise waters of the Indian Ocean and is nestled in a spectacular spacious tropical garden around a beautiful cove in very private and intimate surroundings, offering a spectacular view of the five northern islands. 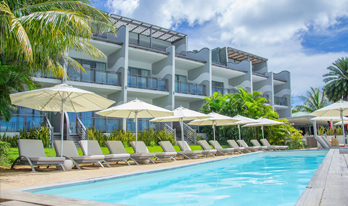 Explore a rejuvenating Zen atmosphere with white sandy creek at the brand new adult exclusive Récif Attitude located in the North Western part of the island. 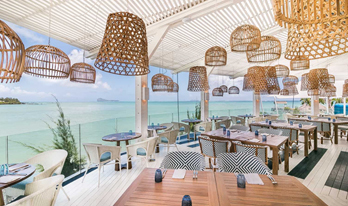 Dressed in white and wood, Récif Attitude is a mix of comfort, vibrant Mauritian soul and boutique hotel spirit. Recharge your batteries and spend some amazing time as a couple, with friends, or even in solo. The Royal Palm is a luxurious 5 star hotel par excellence situated at the vibrating tourist village in Grand Bay. 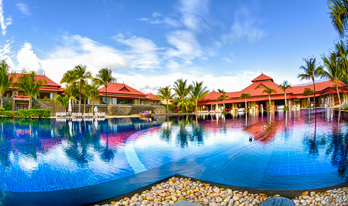 This fine hotel promises you a tranquil tropical haven, and a warm Mauritian hospitality for an amazing vacation. 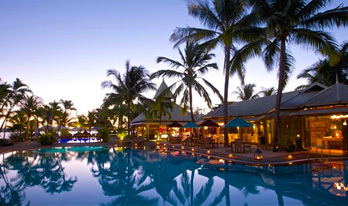 It is among one of the prestigious Beachcomber Hotels collection in the Indian Ocean. 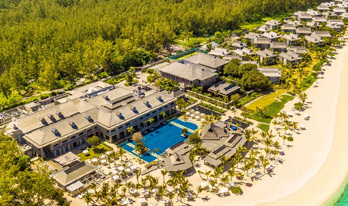 Stretched along the pristine beach of Flic-en-Flac on the western coast of Mauritius, the Sands Resort and Spa is set in a paradisiacal place, in a totally secluded and serene environment, facing the magnificent Le Morne Peninsula. This boutique hotel which has recently been renovated, offers a combination of sophistication and comfort at the same time. 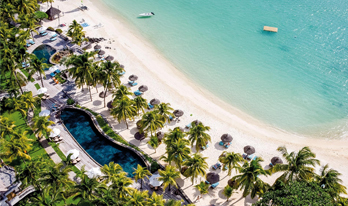 Sofitel So Mauritius is a radiant oasis where Thai architect Lek Bunnag’s inimitable architecture is enhanced by exclusive designs from fashion designer Kenzo Takada. 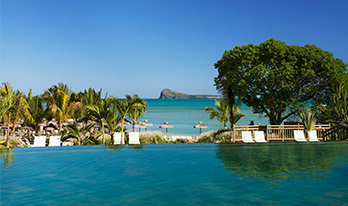 Lush vegetation, a turquoise lagoon, a quietly flowing stream: this Mauritius hotel, located on the wild south coast of the island, brings you to one of nature’s finest settings, on a wide open beach but surrounded by nature. This vibrant 4-star hotel is an effervescent zest for life combining with contemporary design to bring the young (and young at heart) a perfect spot for fun and relaxation. 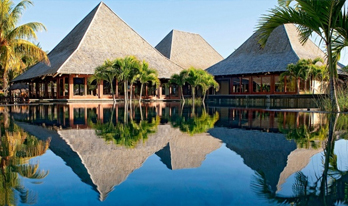 Get mesmerised by the beautiful lush gardens, surrounded by dramatic mountains, and dense sugar cane fields; with the contemporary architecture ideally blends into the natural setting- Meet LUX Tamassa, the all-inclusive resort in Bel Ombre. Nestled along the untouched eastern coast of the verdant island nation, Trou d'Eau Douce Bay's tranquil, uncrowded world-class beaches are found. Here, the resort offers an unrivalled standard of privacy and personalisation in an atmosphere of refined island luxury. Thoughtfully renovated in accordance with plush contemporary design, every room and suite incorporates indigenous island touches, features uninterrupted, postcard-perfect views of sparkling, turquoise waters and embodies sophistication and style. Set in the breathtaking location of Le Morne in the midst of lush green vegetation with marvellous views over the Indian Ocean waters, the soft white sands of Le Morne Beach and its turquoise lagoon create an unsurpassed vacation venue for couples and families alike; the St. Regis Mauritius Resort offers you the most relaxing hideaway, far from the stress of life. Beautifully designed in a colonial architecture, the hotel makes an idyllic escape for guests. 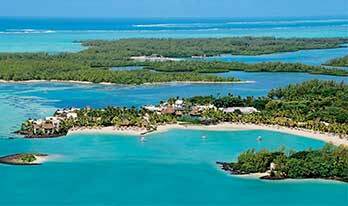 Experience a tropical vacation with Tropical Attitude, ideally located at Trou D'Eau Douce, a typical fishermen's village in the eastern coast of the island with a free and direct access to the mostly visited Islet-Ile aux Cerfs. Surrounded by a garden planted with coconut trees, the hotel boutique serves as an ideal place to relax as a couple or with friends. Experience an exotic feeling with the very typical Mauritian drum beats at the Veranda Grand Baie Hotel. Ideal for couples and families alike, the creole-influenced architecture with corrugated roofs and celadon green shutters, will entice you to relax in a very serene environment. 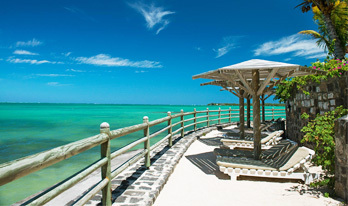 Nestled between the beautiful and serene Pointe aux Piments and Trou aux Biches villages on the north western coast of the island, the 4-Star Veranda Pointe aux Biches Hotel boasts an ideal beach front location to take the advantage of the pleasures of the sea. The hotel invites residents to savour the simplest pleasures of a memorable vacation. Find the contemporary, and rustic Zilwa Attitude overlooking the five incredible islets on the northern coast of Mauritius. 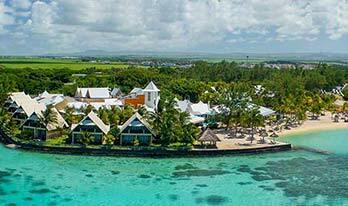 This leisure 4-star hotel is designed in a very exceptional Mauritian concept, offering an interesting experience of authentic island living, for those looking for emotions, discoveries and relaxation.